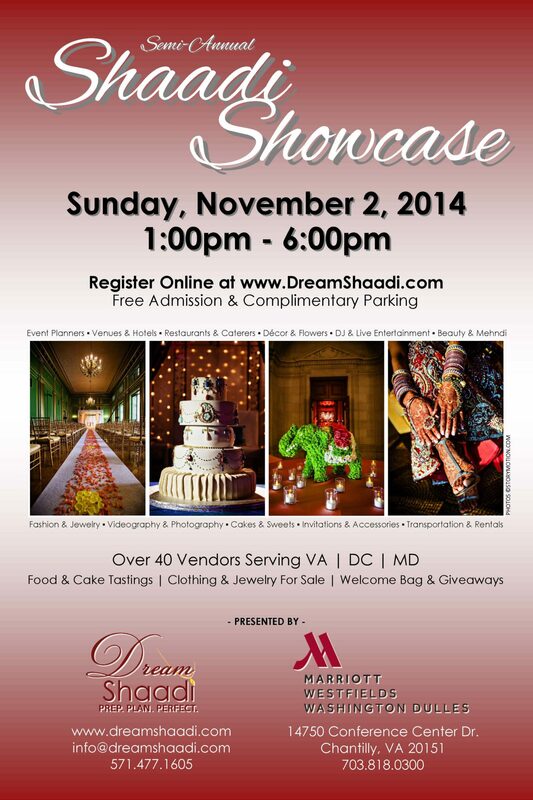 As we shared last week, we participated in the 2014 Vivah Bridal Expo at the Ritz-Carlton in Tysons Corner last Sunday! It was a fantastic showcase of Indian and South Asian wedding vendors, with a great turnout and SO MUCH to see! For South Asian brides and grooms looking for ideas for their weddings, it was a veritable treasure trove! Of course, we think our booth was the prettiest (did you SEE that gorgeous cake in the photo and the adorable pumpkins?? ), but our guests told us we were definitely the TASTIEST! From the popular fusion Paneer Wontons and flavor-party-in-your-mouth Aam Palak Chaat to the sweet and scrumptious Gajar Halwa Tarts and oh-so-light-and-moist cake slices, our booth was conspicuously well-attended all day! If you missed it, don’t despair! 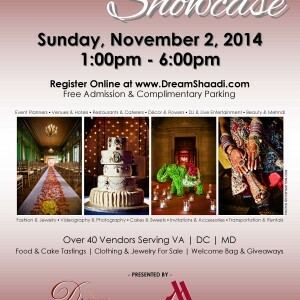 On November 2nd, we will be at Westfields Marriott in Chantilly, VA (a popular and spacious venue for South Asian weddings) for the 2014 Dream Shaadi show! Mark your calendars! You don’t want to miss an opportunity to taste our amazing food, do you?? If you are planning your own Dream Shaadi (or are even just Thinking about a spring wedding), do yourself a favor and come on out to Chantilly! We’d love to see you and answer any questions about our catering menu and services! We also do stunning wedding cakes, including henna designs, gorgeous peacock cakes, and so much more! See you there! 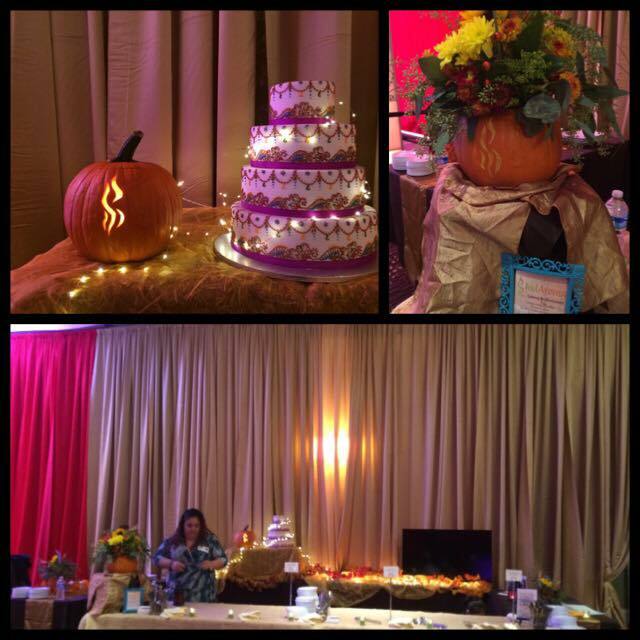 This entry was posted by M Fitzgerald in blog, Events and tagged Henna Style Wedding Cakes, Indian Bridal Show, Indian Catering, Indian Fusion, Indian Wedding Cakes, Ritz Carlton, South Asian Bridal Show. ← Event”full” weekend.. Vivah South Asian Bridal Show! !